Is It Safe to Eat Eggs Past Their Expiration Date? Some egg cartons have sell-by dates on them, while others have expiration dates. Neither should be regarded as an indication of when the eggs are no longer safe to use. Both the Food and Drug Administration and Egg Safety Center agree that eggs are usually good for several weeks past the stamped date. So, how do you know when to toss your eggs? 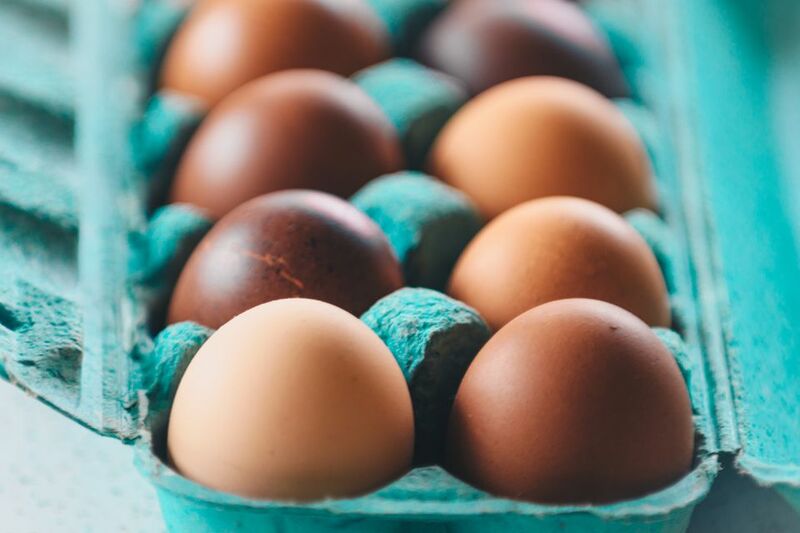 Read on to find out how to determine if your eggs are still edible. One way to determine a reasonable use-by date is to count four to five weeks out from the date that the eggs were cleaned and packaged. The Department of Agriculture requires all graded eggs to have their pack date — the day that the eggs were washed, graded and placed in the egg container — stamped on the carton. You'll usually find it on one of the ends, near the sell-by date or expiration date. It's listed as a Julian date, so it'll be a three-digit number. Jan. 1 would be listed as 001 and Dec. 31 would be 365. To complicate matters, the pack date may be tacked onto the beginning or end of the plant number. Just look for the three-digit number in the sequence and you have your pack date. Another way to determine if your eggs are still good is to water test them. For this test, fill a bowl with cold water and place your first egg inside. If the egg sinks to the bottom, it's fresh. If the egg sinks to the bottom but stands on its point, it's still good but needs to be used soon. If the egg floats to the top, discard it. Repeat the test with the rest of the eggs in your carton. Eggs must be stored properly to reach the shelf life outlined above. Discard any eggs that have developed an off smell or color — even if they haven't reached their expected expiration date. Use hard-cooked eggs (in the shell or peeled) within one week after cooking. Use frozen eggs within one year. Eggs should not be frozen in their shells. To freeze whole eggs, beat yolks and whites together. Egg whites can also be frozen by themselves. Refrigerate leftover cooked egg dishes and use them within three to four days. The agency also suggests that if you are refrigerating a large number of hot leftovers containing eggs, divide it into several shallow containers so it will cool quickly. Don't throw out your eggs if you discover blood spots in them. Finding blood in an egg may seem gross and present a reason for tossing it, but it's actually completely safe to eat. Is It Safe to Eat an Egg with a Blood Spot? How Safe Is Your Child's Lunch Box?